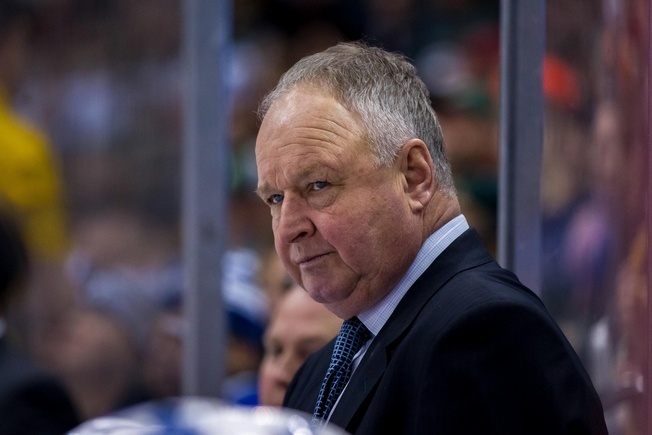 The Anaheim Ducks are bringing Randy Carlyle back for another run. The club announced the hiring of the 60-year-old from Sudbury on Tuesday, naming him as the replacement for the recently-ousted Bruce Boudreau. Carlyle previously coached the Ducks from 2005 to 2011, when he put up a 273-182-61 record on his way to becoming the winningest coach in franchise history. He was behind the bench for their 2007 Stanley Cup victory and Anaheim is clearly hoping for more of the same magic. Carlyle has experience coaching many members of the current roster, with Ryan Getzlaf, Corey Perry, Andrew Cogliano, and Cam Fowler holdovers from his first stint. He also coached Ryan Kesler and Kevin Bieksa back when he helmed the Manitoba Moose of the International Hockey League. Carlyle is coming off a stint with the Toronto Maple Leafs from 2012 to 2015, where he was fired after setting a 91-78-19 record. For this latest trip around the Anaheim sun, Carlyle could have help with assistants Paul MacLean and Trent Yawney. While its not a given that he’ll have both of them in the fold, things will be different with the Ducks and the team will be counting on a combination of the new and old from their newish bench boss. Of course, Carlyle also has a job to do and the team will have to gather around his efforts. He’s led them to the Promised Land before and it could happen again, if everyone’s willing to get on the same page.